Exquisite ships, impeccable service and gastronomic excellence — these are the best luxury cruises in 2019. Among this year’s collection of best luxury cruises is Silversea’s collection of nine luxury cruise and expedition ships are renowned for their elegant service: you’re welcomed on board by white-gloved staff and handed a flute of Champagne as you’re escorted to your suite. You can even pre-arrange a Bon Voyage Party to say goodbye to family or friends before you embark; and if you want to play golf anywhere on your voyage you just have to let the concierge know before your departure. 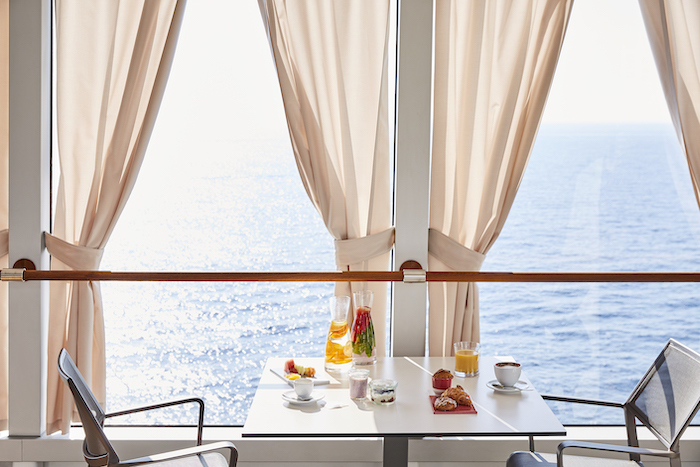 Suites all have ocean views, there are no inside cabins, and the fleet’s culinary excellence is highly regarded. 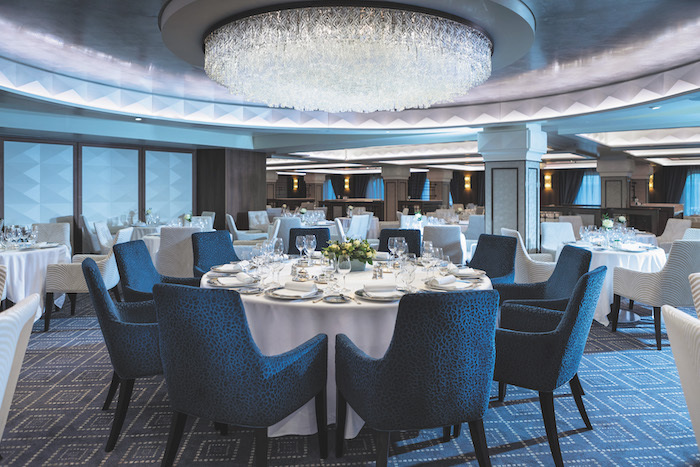 Silver Muse, Silversea’s newest ship, takes just 596 guests and pushes the bar even higher with its main restaurant, Atlantide – where else can you eat blue lobster in the general dining room? It also has half a dozen complimentary speciality restaurants – everything is all-inclusive, including the bars – plus a decktop Grill. Sister ship Silver Moon will continue in a similarly luxurious style when it launches next summer . But Silversea is also known for its luxury expedition cruises and will make history with the first-ever expedition world cruise in 2021, sailing from Pole to Pole. Starting in Ushuaïa for the Antarctic, Silver Cloud will call at 30 countries over 167 days on its way to Tromsø and the Arctic Circle. Silver Cloud is the most spacious ice-class expedition ship in the world and among the most comfortable. WOW FACTOR: Champagne on tap from the moment you board. *A 13-day round-trip cruise from Tower Bridge in London to France, Copenhagen, Sweden and Norway, sailing on Silver Wind, starts from £6,200pp, based on two people sharing (0844 251 0837; silversea.com). With a glass of Champagne never far away and an elegance that prevails from the Mediterranean to the North West Passage, Ponant is proud to be France’s only cruise line and manages to cover all the bases with its fleet of luxury ships, most with a pool, gym and spa. Le Ponant, the smallest sailing ship with only 32 staterooms, specialises in Caribbean or Mediterranean hideaways. L’Austral, Le Boreal, Le Lyrial and Le Soléal are more conventional, but with just 244 to 264 passengers each they can take you on a gourmet cruise around the Antarctic Peninsula as effortlessly as a round trip of Japan. There are open bars and wine with meals. Then there are its expedition vessels, with excursions often included. The newest, Le Lapérouse and Le Champlain, feature 92 spacious suites and the ground-breaking Blue Eye – a multi-sensorial underwater lounge that allows you to view the sea bed and listen to its marine life. Two portholes have non-obtrusive underwater lighting, while hydrophones in the keel transmit sounds to the Body Listening sofas. Le Lapérouse is the first of six Explorer class ships, with Le Commandant Charcot expected in 2021 for intense polar explorations. Easy elegance, exceptional French dining and Euro-disco dancing: you’ll love the evening entertainment. WOW FACTOR: Gourmet French cuisine every day. *An 11-night Scattered Islands of the Banda Sea cruise on Le Lapérouse, from Darwin in Australia to Benoa in Bali, departing 31 August, starts from £6,168pp, based on two sharing, cruise, only (0800 480 9027; ponant.com). With two twin mega-yachts – SeaDream I and II – to its name, SeaDream Yacht Club lives up to its slogan: “It’s yachting, not cruising”. You’ll be handed a glass of fizz when you board, with generous refills, and every evening guests – all 112 – are invited for drinks by the pool with officers. The cabins are spacious but without balconies, which encourages passengers to be more sociable and get together in the Top of the Yacht al-fresco bar or indoor Piano Bar. The food is superb, from gourmet to vegan, including sugar- and gluten-free options. There are free yoga and tai chi sessions, a well-equipped gym and a Thai-certified spa. Itineraries are mostly in the Mediterranean and Caribbean, calling at small ports or stopping in sheltered bays to lower the Watersports Marina Platform. WOW FACTOR: The complimentary luxurious monogrammed pyjamas. *A five-day Wine Voyage from Barcelona to Nice on SeaDream II, departing 18 May, starts from £2,850pp, two sharing, cruise only (0900 783 1373; seadream.com). 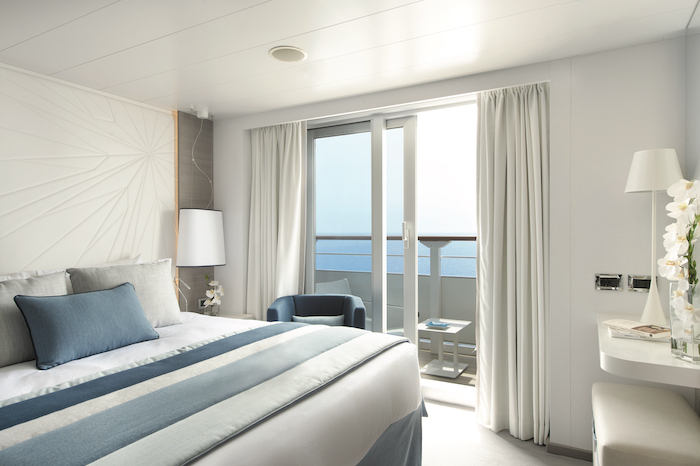 If you like understated luxury then Viking’s ocean cruise ships are simply perfect. With a similar Scandi-style to Viking’s river ship and lots of clever and innovative design touches, the six-strong fleet – with Viking Jupiter launching this year – are elegant and sophisticated. Viking’s winning formula is to concentrate on the destinations and give passengers what they want. 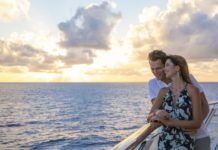 All its ships are small, taking around 930 guests; every stateroom has a balcony – there are no inside cabins – and every cruise is all-inclusive. So there are no unexpected bills at the end of the holiday. Return flights, 24-hour room service, quality wine with lunch and dinner, free wifi and complimentary spa facilities are all part of the package. Although the Nordic-themed spa treatments and bar drinks are not included, excursions at most ports and excellent expert lectures are provided. 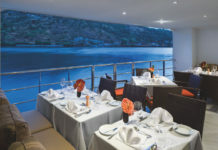 Every ship has The Restaurant main dining room and World Café buffet restaurant, with free alternative dining at Manfredi’s Italian restaurant and The Chef’s Table, where a tasting menu includes paired wines at no extra charge. There’s also al-fresco dining in the Aquavit Terrace and Mamsen’s serves Norwegian specialities for breakfast and lunch. Many ships have fabulous art collections but Viking has amassed the largest works of Edvard Munch outside the Oslo Museum, with originals on show for guests’ enjoyment and a digital collection of all Munch’s art, which can be seen every evening on all Viking ships set to music in Munch Moments. WOW FACTOR: Star-gazing in Viking Orion’s planetarium. *An 11-day West Indies Explorer cruise on Viking Sea costs from £2,990pp, based on two people sharing, including flights (0800 298 9700; vikingcruises.co.uk). 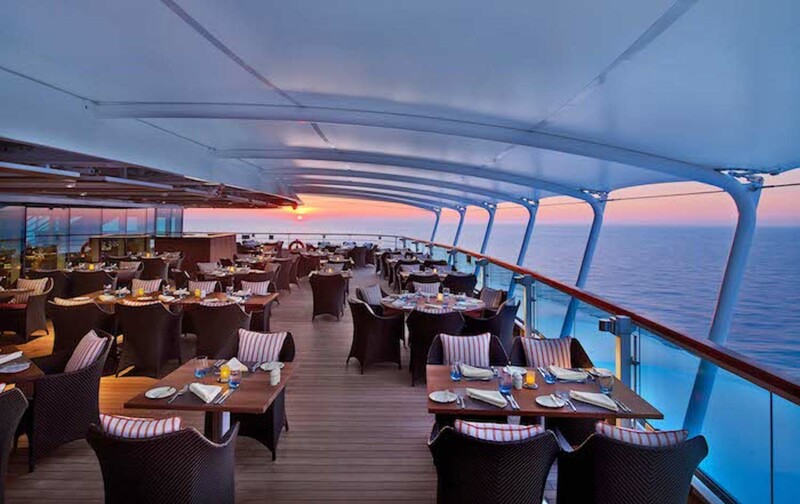 An exceptionally relaxed atmosphere with a focus on culinary excellence makes Oceania Cruises a favourite for those who appreciate the finer things. Expertly researched itineraries to more than 450 ports across Europe, Asia, Australasia, Africa, America, the Caribbean and South Pacific give its loyal passengers ample reason to re-book – as do the free shore excursions, beverage package, gratuities, internet and onboard credit when taking advantage of its OLife Difference offers. 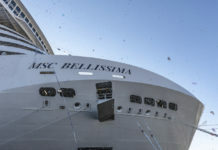 The cruise line’s six small ships take from 684 to 1,250 guests and visit boutique ports that larger ships can’t access. This personable approach is reflected in its emphasis on wellness and fulfilment: yoga, pilates and other fitness classes are free, while enrichment pursuits run from art workshops to hands-on classes in the Culinary Centre. Oceania Cruises’ uncompromising obsession with culinary perfection is clear to see; its ships use only French flour and butter, lobsters from Maine and locally sourced fruit and vegetables. Its 28-day dry aged American beef is legendary, while it claims to have the most expansive vegan menu at sea – all served on Versace chinaware in restaurants featuring original artwork, including Picassos. And this year comes new initiative OceaniaNEXT that will elevate Oceania Cruises’ experiences, from fine cuisine to onboard pampering and in-depth destination exploration. WOW FACTOR: The new Dom Pérignon Experience, pairing six courses with different vintages. *A 16-day Scenic Seaboard cruise from Montreal to Miami on Riviera, departing 30 October, starts from £4,329pp, based on two people sharing, including return flights (0345 505 1920; oceaniacruises.com). Intuitive personal service on small ships with a private club atmosphere marks out Seabourn from the rest of the luxury cruise crowd. There’s Champagne to welcome you and your mini-bar is stocked with your favourite tipple – all complimentary and part of an all-inclusive package on itineraries across all seven continents. 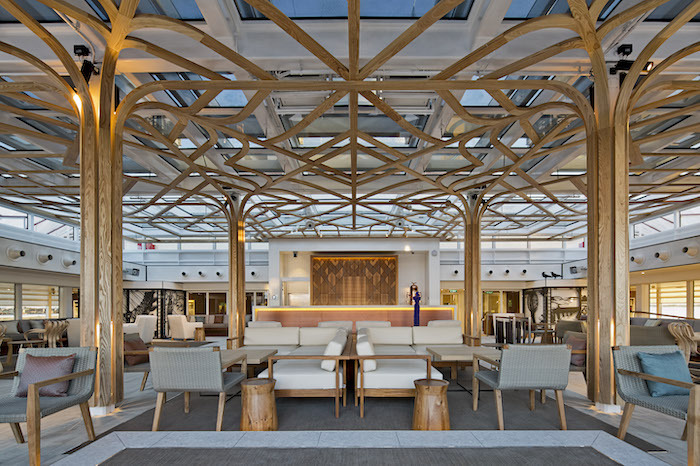 A pioneer of luxury small-ship travel, even Seabourn’s most recent ships – Seabourn Ovation launched last year and Seabourn Encore in 2016 – take just 600 passengers. These have all-suite cabins with separate sleeping and living areas, plus hotel-standard bathrooms with double sinks, both showers and baths, and a range of big-brand toiletries. Dining is just as impressive. 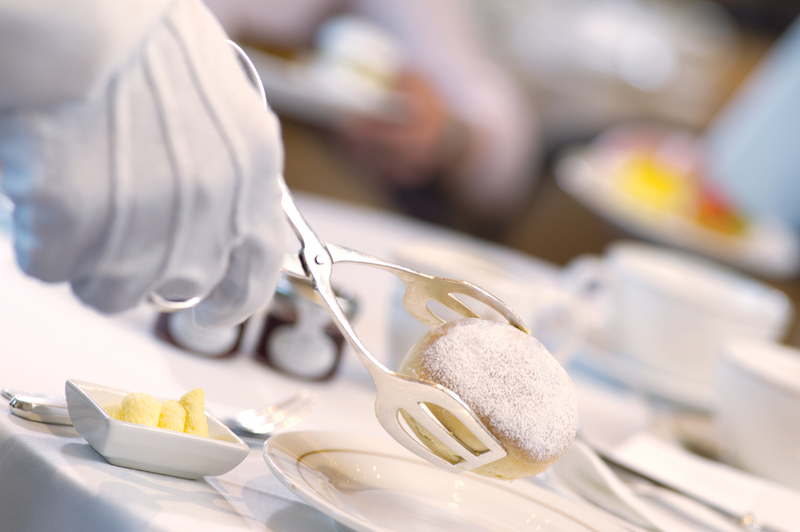 Seabourn Sojourn, one of the three even smaller ships with 462 passengers, serves Champagne and caviar on demand. All five ships have American celebrity chef Thomas Keller’s creations on their main restaurant menus. As for destinations, Seabourn sails the seven seas offering highly cultural experiences but also soft adventure excitement – such as guided kayak, Zodiac and catamaran tours in Alaska past icebergs and in search of seals, whales and eagles. Unlike other all-inclusive cruise lines, though, excursions are not complimentary. But Seabourn is best-known for its Caviar in the Surf event, with uniformed waiters wading through the waves to offer beach-party guests a glass bubbly with their caviar. It’s outrageous, outlandish, outstanding. It’s Seabourn. WOW FACTOR: Stateroom stewards will run you a bubble bath on request. *A 12-day Ultimate Alaska Sojourn round-trip cruise from Vancouver, Canada, includes scenic cruising and days in frontier towns, departing 8 August, starts from £4,899pp, based on two people sharing, cruise only (seabourn.com). 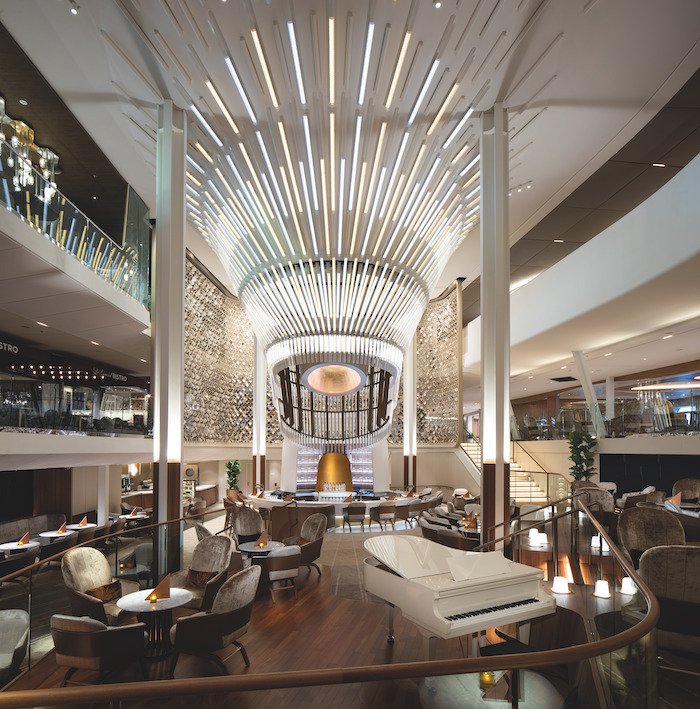 The launch of Celebrity Edge last year changes everything for this big-ship cruise line, which has already carved a niche as a foodie’s favourite. Livelier, and more technology-driven than its predecessors, Edge is more of a chic resort aimed at a younger crowd. This edgier theme will be introduced to Celebrity’s nine older cruise ships, with second Edge-class ship Celebrity Apex arriving in 2020 and based in Southampton for a mini-season, sailing to northern Europe and the Med. For in-depth explorations, such as to the Galápagos, there is Celebrity Xploration, Xperience and Xpedition, with Celebrity Flora joining this year. This is a non all-inclusive cruise line, as reflected in the prices, but the food in the complimentary restaurants is superb – and even better in the paid-for speciality dining. On 2,900-passenger Edge, entertainment has been fused with eating in restaurants such as Le Petit Chef, where the table itself comes to life with animated figures ($55) and Eden Restaurant, where performance artists serve your food ($65). WOW FACTOR: The Magic Carpet on board Celebrity Edge. *An eight-night Inaugural Spain & Portugal cruise on Celebrity Apex, round trip from Southampton, departing 5 April 2020, from £1,990pp, based on two sharing (celebritycruises.co.uk). Cunard enjoys a deserved reputation for old-world luxury and a certain British style, despite its American owners and New York club-like ambience in the bars and public areas. Together they conjure a golden age of cruise liners, especially on Queen Mary 2 – the largest ocean liner ever built and the only one still sailing. 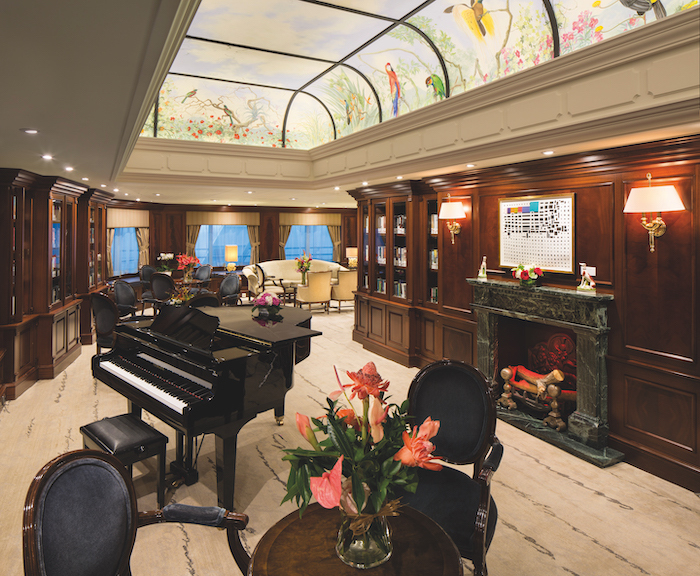 Although not all-inclusive, Cunard’s staterooms bring different benefits. Queen’s Grill has butler service, Champagne on arrival, pre-dinner canapés, an in-suite bar and interiors with a touch of Mayfair. Next comes Princess Grill, then Britannia, whose standard staterooms outshine other lines. While the three Queens – Elizabeth, Victoria and Mary – travel the world with journeys perhaps not as spectacular as others, their strength lies in the quality of entertainment. The English National Ballet is joining QM2 for a crossing to New York in August. 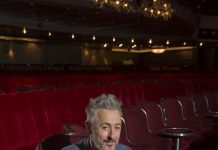 It will host Transatlantic Fashion Week in July, and in November, the first Literature Festival at Sea with novelists including Sebastian Faulks and Victoria Hislop, and American satirist PJ O’Rourke. Co-created with wellness pioneer Canyon Ranch, Cunard rolled out its holistic spa concept, Mareel, on Elizabeth last December. It features a couples suite for seaweed bathing and a meditation room with acoustic resonance loungers. Victoria also has a Mareel spa and QM2 will update in 2020. WOW FACTOR: The Art Deco-style interiors. *A 14-night Transatlantic Crossing round trip, Southampton to New York, departing 11 August, from £1,673pp, based on two sharing (01246 819819; bolsovercruiseclub.com). Three custom-built super yachts – the first launching in 2020 – that look like something from a Bond film, with interiors in coffee-cream contemporary style. Each of the 149 suites will have private terraces, a personal concierge, king-size bed and a double vanity bathroom with a sleek shower system. There will be a chilled bottle of Champagne on arrival, an open bar and in-suite mini-bar, complimentary dining in multiple venues and wifi. Plus, there’s an indoor and outdoor spa. The only paid-for dining option sounds amazing, though: an offshoot of Aqua, the restaurant at The Ritz-Carlton, Wolfsburg, Germany, with a menu by three Michelin-starred chef Sven Elverfeld. The main restaurant will include local specialities and Talaat Nam will serve Southeast Asian cuisine, with the Mistral seafood restaurant for al-fresco lunch or dinner and The Pool House for openair breakfast or late-night dining. 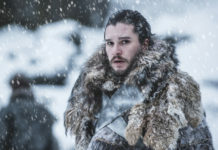 And then there’s the destinations, starting with the Caribbean in February 2020, with visits to the smaller Grenadine islands, followed by the Med in summer and Canada to New England in autumn – all with late-night departures. Excursions are not included and range from historic tours to ziplines, wildlife and nature or food and wine. WOW FACTOR: There’s a marina-style platform for watersports. *A seven-night Oranjestad to Bridgetown cruise, departing 22 February 2020, from £3,616pp, two sharing, cruise-only (+356 2778 0076; ritzcarltonyachtcollection.com). Azamara Club Cruises likes to do things differently; it offers an ‘upmarket voyage experience’ and prefers the concept of shore immersion rather than excursions. Still, its three small ships – including Azamara Pursuit, which joined the fleet last year – have all-inclusive drinks, AzAmazing Evenings and a free shuttle service in most ports. There are more free amenities for higher grade guests, such as wifi and speciality dining, with a butler service for suite guests. All three ships are mid-sized, with Journey and Quest ‘reimagined’ in 2016. Upgrades included spa suites with rain showers and outdoor tubs. Pursuit was also reimagined and, like its sister ships, takes 702 passengers. The vessels’ size means there are fewer restaurants, but the two complimentary restaurants are excellent and often feature local cuisines, while the three paid-for options include Chef’s Table ($95) serving a five-course meal. With no home ports to return to, the ships’ itineraries are exceptionally varied, with first-time forays to Alaska and Canada, Quest immersed in New Zealand and Japan, Journey mainly in the Med and Europe, while Pursuit is busy in the Med and South America. WOW FACTOR: Exclusive experiences and overnight stays. *A 15-night New Year’s Eve in Rio Voyage round trip on Azamara Pursuit, from Buenos Aires in Argentina, departing 21 December, from £3,545pp, two sharing, cruise only (0844 493 4016; azamaraclubcruises.co.uk). Famously chartered by HM The Queen for her 80th birthday celebrations in 2006, and again in 2010, Hebridean Princess is essentially a Scottish Highlands country house that rather conveniently sails to some of the most spectacular scenery in the world – mainly the islands of western and northern Scotland. It’s also the only ship in the Hebridean Island Cruises fleet and sleeps just 50 guests in spacious and comfortably tweed-themed bedrooms. It’s a class act, in all meanings of the word, with 30 cabins including 10 singles and an understated elegance even among the guests, who are as comfortable in black tie for gala dinners as wellies and waxed jackets for hikes. Cruises are all-inclusive, from the Champagne on arrival to the whisky nightcap – and even the picnics provided on walking tours. Gratuities are not required and excursions to magnificent castles, woodland gardens and quirky museums are included. There are also bicycles to borrow and the wifi is free. 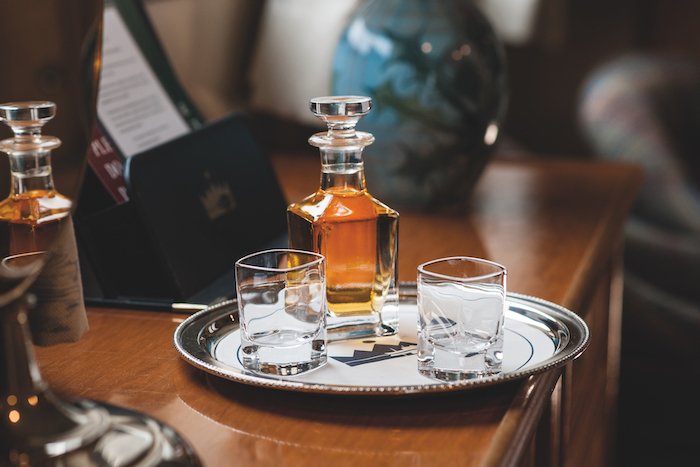 Staff will organise Champagne celebrations in your cabin or the library and, just like the Queen, you can charter the whole ship for a holiday with family and friends to enjoy the Scottish wildlife, food and scenery or occasional cruises to Ireland. Hebridean Island Cruises also charters 90-passenger river ship Royal Crown (as do other cruise lines) for itineraries on the Dutch and Belgian waterways, the rivers Rhine, Main and Moselle, and these are also all-inclusive. *A six-night Castles and Clans cruise, return trip from Oban, including transfers from nearby rail station, departing 13 August, starts from £3,510pp, based on two people sharing (01756 704704; hebridean.co.uk). When Seven Seas Explorer was launched in 2016 it was pronounced the most luxurious ship ever built. 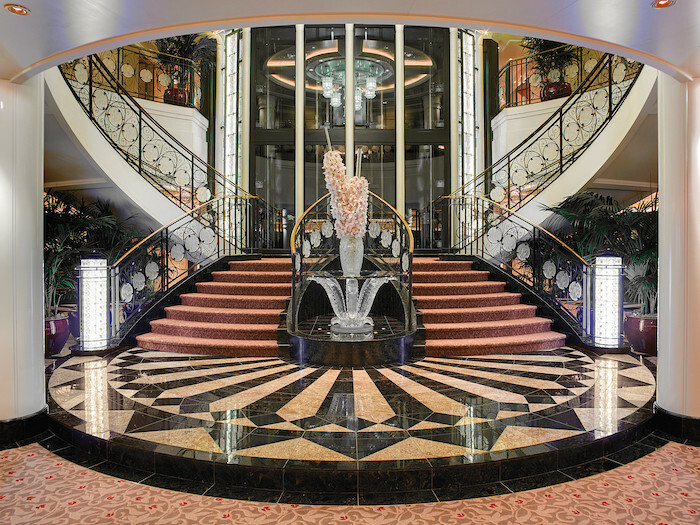 With all-suite and all-balcony accommodation, including master suites with wraparound balconies, the ship has more gold leaf and marble than a Russian oligarch’s palace, with handcrafted chandeliers to match. 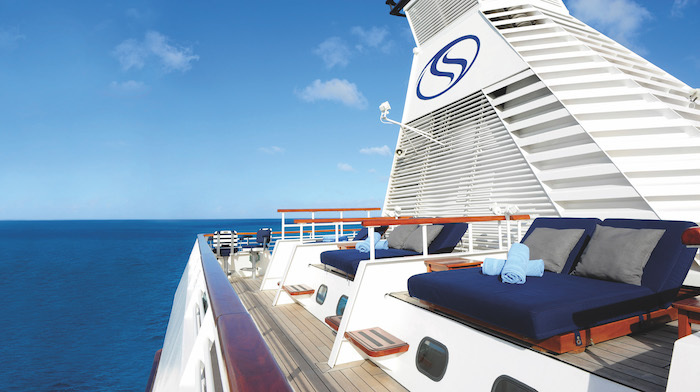 Meanwhile, the cruise line’s other ships – Mariner, Voyager and Navigator – have been upgraded with a $125million refurbishment programme, and next year Seven Seas Splendor will have the largest suite at sea, the Regent Suite, with a bed that cost £200,000 and an in-suite spa retreat with a sauna, steam room and glass-enclosed solarium. The suite sits on top of the bridge and guests have a personal butler and personal car with driver and guide in every port. 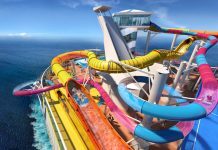 Other passengers will have to slum it enjoying the largest collection of complimentary unlimited excursions of any cruise line, unlimited free wifi, free wines and spirits and totally delicious food. Gratuities, flights and transfers are also included and there’s free 24-hour room service. Also free are the speciality restaurants on every ship – from Pool Grill steaks to modern French and Pacific Rim Asian menus. But it’s Regent’s ability to immerse passengers in every destination that is impressive. Go Local Tours offers off-the-beaten-track experiences; Wellness Tours takes guests to spas and more, while Gourmet Explorer Tours includes Michelin-starred dining and Provençal cooking demonstrations. WOW FACTOR: The infinity pool in the spa on Explorer. 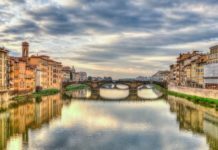 *A seven-day A Summer of Splendor cruise from Barcelona to Civitavecchia on Seven Seas Splendor, departing 20 May 2020, from £4,789pp, including return flights, based on two people sharing (02380 682280; rssc.com). For more help picking your next cruise, use our cruise finder.